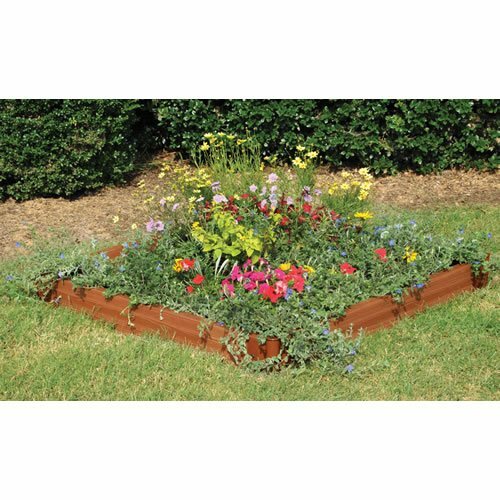 Raised gardens are a perfect way to involve children in gardening while using minimal space! Eco-friendly kit is made from recycled plastic, so it won't rot, splinter or become infested with unwelcome critters. You can easily combine multiple kits to change heights, shapes and sizes. Simple to install using a screwdriver and hammer. Includes 4 composite plastic timbers and 4 stacking joints. Can even double as a sandbox! Measures: 4'L x 4'W x 6"D.
If you have any questions about this product by Frame-It-All, contact us by completing and submitting the form below. If you are looking for a specif part number, please include it with your message.